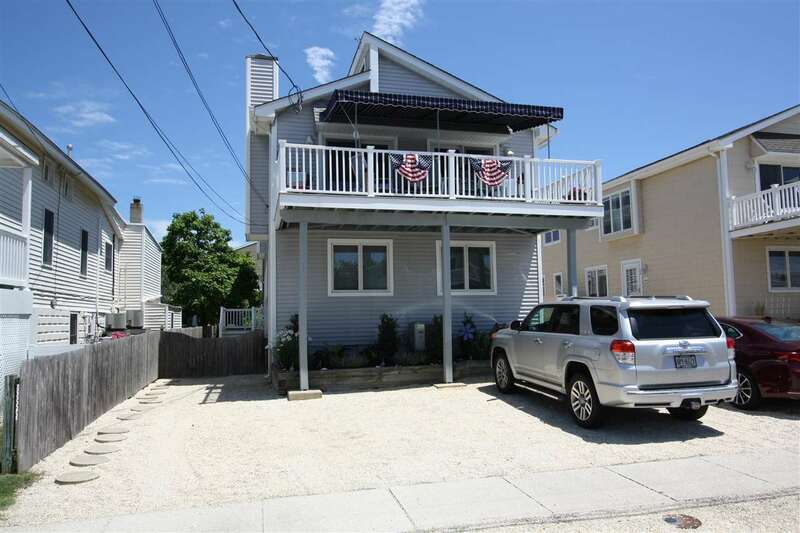 Best 4 bed/2 bath townhouse value in Stone Harbor. This 2 story North facing townhouse is ideal for the investment buyer or buyer who would like to enjoy it as their second home. The 1st floor features 3 bedrooms, 1 full bathroom, & laundry room. The 2nd floor features the master bedroom, full bathroom, kitchen and living room w/ high ceilings. There is a large deck for lounging and grilling. The outside features 2 off-street parking spaces, outside shower, private shed and a fence which great for pets and that allows for backyard privacy from the front unit. Close to the hotel district, public marina and recreation fields Park your car and enjoy your stay! New in 2017: HVAC and 2nd floor deck. Tenants thru October. Call to schedule an appointment.